NIMHANS Jobs Recruitment Notification 2018.National Institute of Mental Health and Neurosciences (NIMHANS) inviting applications for the positions of Clinical Psychologist, SSO and Departmental Secretary jobs.Interested and Eligible candidates can apply for the positions. Last Date for Submission of Application is on October 01st, 2018..
Total number of vacancies to be filled in NIMHANS Bangalore is 13. MD in Microbiology or PhD in neuromicrobiology holders can apply for senior scientific officer post. Post graduate degree holders can apply for Departmental Secretary exam. I Class/ II Class MA/ M.Sc holders in Psychology can apply for clinical psychologist post. Selected candidates as Sr. Scientific officer will get Rs.65,000/- per month. Selected candidates as clinical psychologist will get Rs.9,300-34,800/- per month. Selected candidates as Departmental Secretary will get Rs.25,000/- per month. Through interview test and skill test contenders will be hired. Mode of applying for NIMHANS recruitment is through offline mode. 01st October 2018 is the last date to submit application forms. 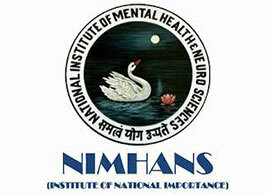 http://www.nimhans.ac.in/ is the link to download application form and send to below given address. NIMHANS, P.B No.2900, Hosur Road, Bengaluru-560029, India.